angela is formed by atsuko on vocal and KATSU as guitarist and arranger. They made their major label debut in 2003 with “Asu he no brilliant road” an opening theme song for a TV anime “Uchu no Stillvia”. Since then, they have done a lot of theme songs for popular TV anime including “Fafner in Azure”, and “K”. Their album released in April 2013 ranked 10th in Oricon Weekly chart. 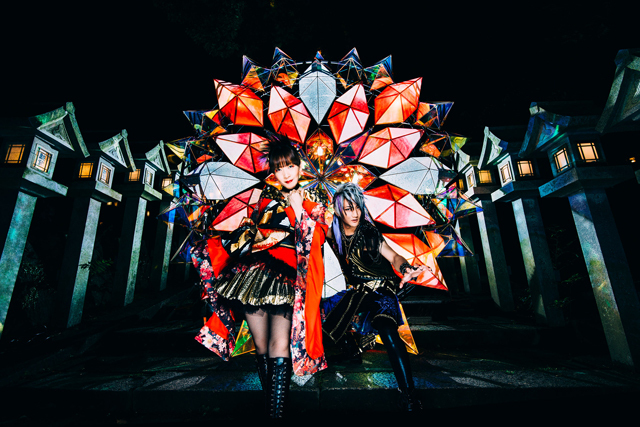 On May 21st 2014, they released their 2nd best album “Takarabako2 TREASURE BOX II” and “Sidonia” an opening theme song for “Knights of Sidonia” on their debut anniversary day. “Sidonia” was awarded with “the 19th Animation Kobe Award”. They have performed at a lot of international shows. They performed at “Anime Expo”in US in July 2014,and at “Anime Festival Asia 2014” in Singapore in December. In 2015 they had solo shows in Canada and Germany. On February 11th 2015, “Exist” an opening and ending theme for “Fafner in Azure EXODUS” ranked 7th in Oricon Weekly Chart. On April 29th “Kishi Koshinkyoku” (“Knoghts of Sidonia 9th Planet Senyaku”) was released, and the following new album released on May 20th “ONE WAY” ranked 10th in Oricon Weekly Chart. In 2015 summer, they were active overseas performing for 2 days in a row for the first time at the year end in Hong Kong and Taiwan. Both shows were sold out.